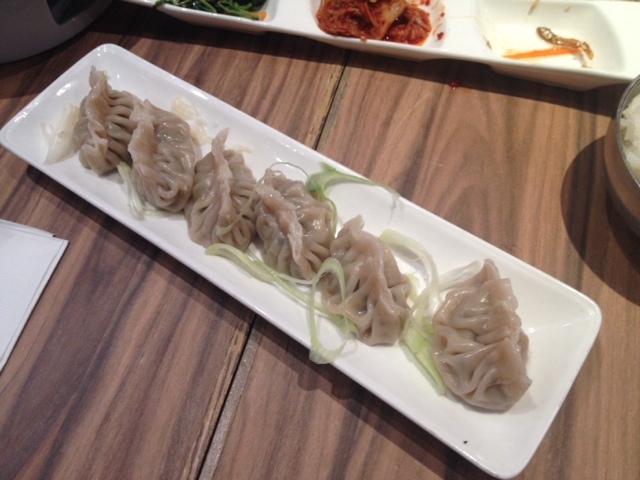 Food Escapade at Woo Galbi | Vanity and Everything in Between. This is how they serve their samgyeupsal. We also ordered pork dumplings just because. 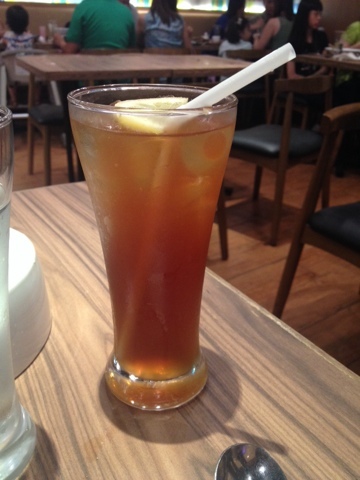 And of course, I can't leave without iced tea. What I don't remember is if we ordered rice or if it was included when you order samgyeupsal. We liked our order even though the lettuce is not refillable. So, in case you are craving for samgyeupsal and you are in the mall, you can try Woo Galbi. To be honest, authentic Korean restaurants serve their samgyeupsal differently and better (tastes better too not to mention it's cheaper) but Woo Galbi is okay. 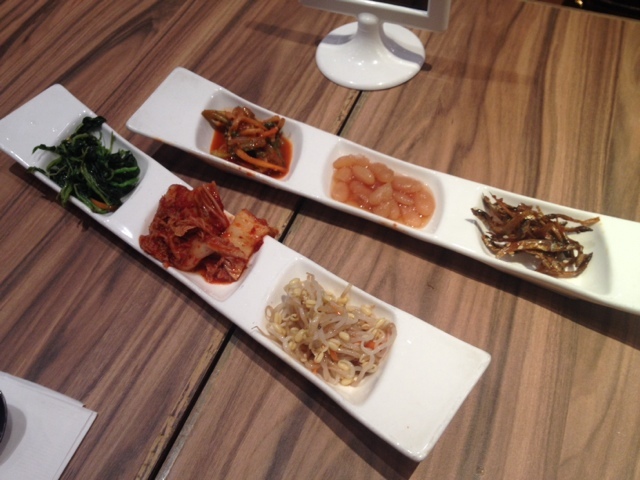 Woo Galbi is located at the new wing of Shangri-La Mall. i'm not familiar with korean food but i'm following several korean blogs and their food looks delish! 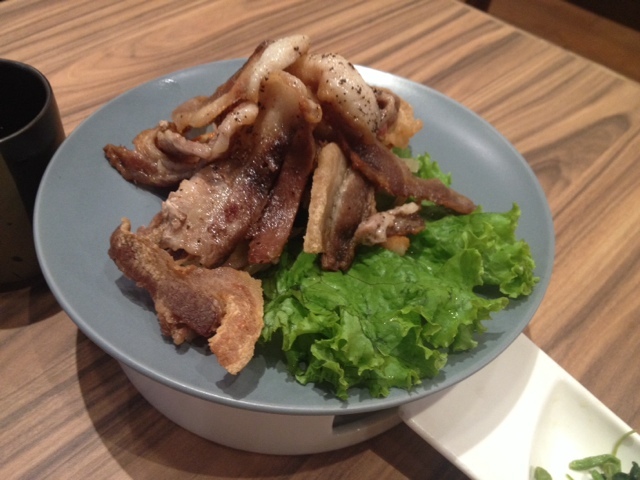 pork ba samgyeupsal? looks bacon kasi.hehe..yung pork dumpling though, masarap ba? Mouth-watering! Although I am not really fond of Korean food, I have been to Korean restos/ buffet several times already. 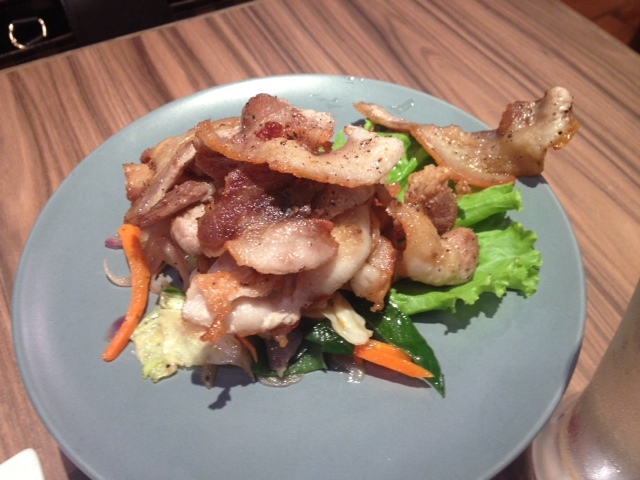 Samgyupsal is pork belly, right Miss Gem? My fave Korean dish would be bibimbap and japchae. At nagutom ako! I am scared, as in takot talaga i try yun karamihan ng mga korean, thai and japanese foods. Kapag nakain kami sa mga buffet resto piling pili lang talaga kinukuha ko at dinadaanan ko lang yun mga station ng korean at iba pang asian foods. Siguro kasi feeling ko spicy sila lahat at iniinis ako ng allergy ko kapag nakain ng spicy foods (at seafoods and poultry). Next time try ko nga kumain ng mga ganyan, baka magustuhan ko rin.Titingnan ko lang muna kung pwede sakin yun ingredients. My best friend loves Korean food (lahat yata ng may kinalaman sa SK gusto nya) and I'll let her know of this place. Lapit lang din nito sa office namin. Thanks again Miss Gem! I just love those moments when you just order everything you want JUST BECAUSE. Hahaha! I can totally relate!